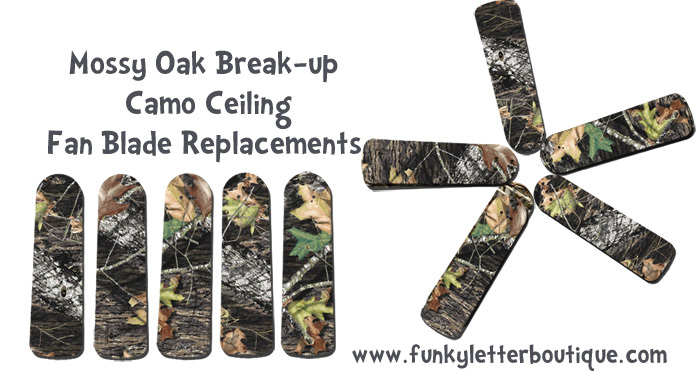 We are excited to bring to you our newest camo creation for all our favorite hunting fans out there! Blades are universal and fit most ceiling fans. I suggest measuring your current blades. They fit 52" diameter fans, and are 21" long each and fit most standard fans. They come in a set of 5. *please allow 1-3 weeks for delivery these are custom made here in the USA just for you!